It comes as Epic Games, the creators of Fortnite, faces further legal action, from a mother alleging it had copied her son's dance without permission. "It becomes very difficult when every building block of culture becomes somebody's property in a way that can exclude people from using it," Thomas Kadri, a fellow at Yale Law School told the New York Times. But Carl Steele, a partner at law firm Ashfords, told the BBC: "It is possible for a dance to be protected by copyright in the UK but in order to do so it must be fixed - videoed or photographed - and it must show it is original, which can be difficult to prove." Of the latest legal action, he added: "I am somewhat surprised that if fans had lobbied to have this individual's dance included in the game, that the maker didn't seek some form of consent." And on Microsoft's decision to pull dances, he added: "They may make a commercial decision to do that rather than face difficult litigation, which can involve significant sums of money in the US." 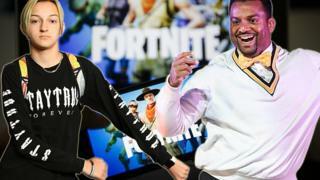 Fortnite sued over The Floss: Can you copyright a dance move?